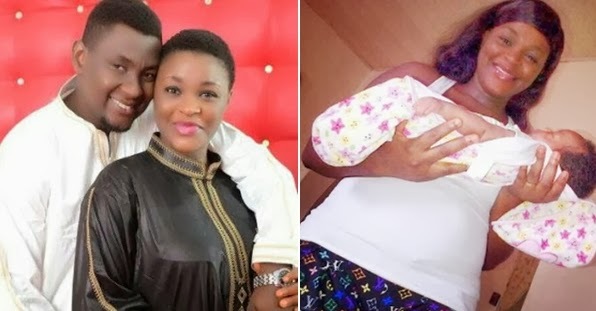 Another Nollywood mum enjoying motherhood has revealed the face of her baby daughter. 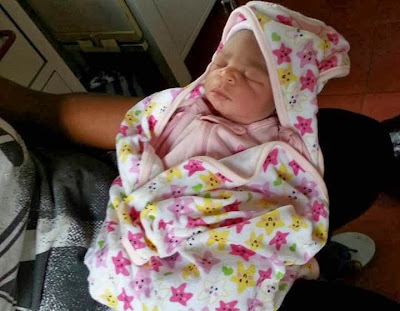 Chacha Eke and her hubby, movie director Austin Faani welcomed their first daughter on Friday, the 20th of September 2013. She is obviously enjoying every bit of motherhood. Dear pls don’t exposed dat baby to evil pople! So happy for u and pls stick to ur hubby cos ve got many hubby snatchers! Chacha my sweet baby,your smile is always addictive,Am very proud of you for choosing motherhood over nollywood life,a million kisses to you and your cute angel.welcome to the club and happy married life.stay sweet as usual. I AM SO HAAPY THAT SHE IS NOW A MOTHER. I WISH SHE WILL BE BEAUTIFULL AS YOU.CONGRATULOBIAAA!!! Hello dear i wont to kwn wen d u marry ooooooooh n wen u got pregnant abiiiiiiiiiiiiii u went to d ulter with ur …………………! Congratulations dear… u ve got a swt baby……. All the best my dear.